There are tons of amazing Austin events and these are the biggest! These events are the five biggest annual Austin events based on attendance. Cure your FOMO by marking your calendar now! 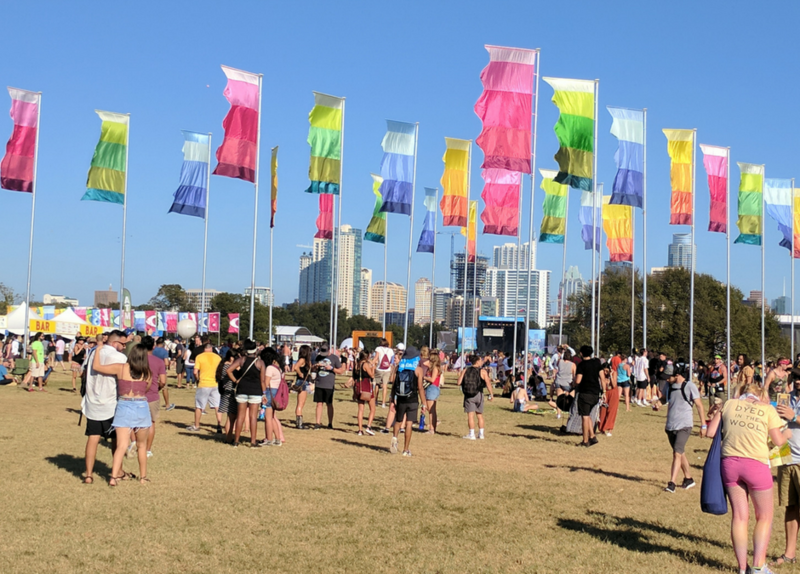 ACL is one of the biggest Austin events, with 450,000 people attending in 2017. ACL takes over over Zilker Park for two weekends each October. The festival features seven stages of music with more than 130 artists. There’s also a special kiddie area with acts and activities geared towards the younger set. Add in a plethora of food and music options and you’ve got an incredible three days! SXSW is the granddaddy of Austin events, with over 421,000 people attending in 2017. The South by Southwest festival began in 1987 as a music festival. It now includes the music festival, a film portion and interactive. Artists and professionals from around the world come to Austin for 10 days in March to share their passions. The Trail of Lights brought 400,000 people to Zilker Park in December 2017 to enjoy some holiday cheer. This is a classic Austin event. Zilker Park is transformed into a Winter Wonderland featuring two million lights, a 90 foot Ferris Wheel, a classic carousel, food vendors, Santa and more! The only Formula 1 car race held in America, last year’s Grand Prix brought almost 270,000 attendees to the Circuit of the Americas track. Located in far east Travis County, the track also doubles as a concert venue called the Austin360 Amphitheater. #TBT – a little freestyle bullfighting action from #RodeoAustin2018! Austin may be a big city, but it is in Texas, ya’ll! The Travis County Expo Center hosted 263,000 people last year for Austin’s ProRodeo. There’s ropin’, ridin’, a livestock show, carnival and live performances from not just country music stars, but rap, rock and pop stars too! A great Austin event for the whole family! Looking to find an apartment so you can experience the biggest Austin events for yourself? Give Apartment Experts South a call today at 512-416-8111 to find your new home in no time!